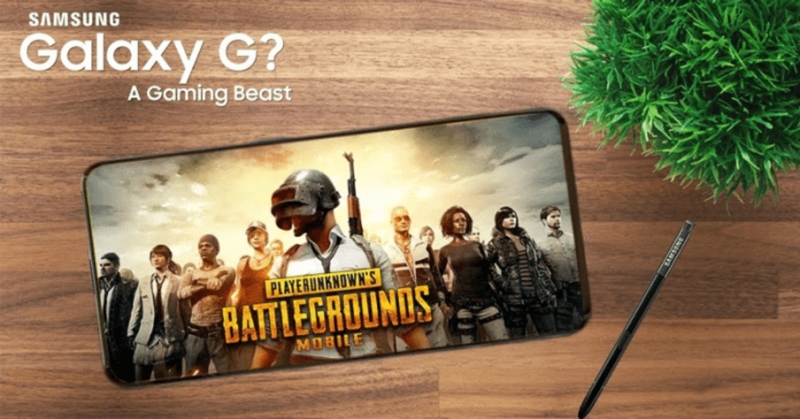 Home Galaxy G Gaming Smartphones Samsung Smartphones Tech News Trending Is Samsung Really Launching A Gaming Smartphone; What Could The Name Be? Is Samsung Really Launching A Gaming Smartphone; What Could The Name Be? The Korean giant, Samsung has again made us proud. Since the year started, they have been the most trending news on the internet. First, it was the rumors, news and the launch of the Galaxy S9/S9+ which went viral and still on trend. Later on, it was the Galaxy Note 9 which was launched few months back and thus, the S Pen really have some magnificent features. However, the rumor of the Galaxy X is already there on the internet which most people believe to be Samsung's foldable smartphone and now, it seems that Samsung is working on a new project to satisfy the gamers. Meanwhile, some other phone producing companies like Razer, OPPO, Asus, Nubia, Red Magic and Xiaomi has/have been working on gaming smartphones too. The news of Samsung producing a gaming Smartphone isn't new to most of us, earlier this year, it was rumored that the Galaxy X will be a gaming smartphone but as time went on, it turns out to be a foldable smartphone according to some rumors. Will Samsung Gaming Phone Sell? News of Samsung working on its own GPU for mobile devices resurrected rumors of a gaming-centric Samsung phone which may arrive soon. Neither of this is actually new but the timing seems almost perfect. Being Frank, the market hasn’t exactly come to an agreement on a definition beyond an extremely broad “smartphone designed for gaming”. Razer interpreted that to mean a 120 Hz screen. Xiaomi-funded Black Shark put liquid cooling inside. ASUS took all of that and added a plethora of accessories and LED lights. But with the exception of those lights and peripherals, anything that a gaming smartphone has, all high-end smartphones have or at least should have. Crisp and fast displays, powerful hardware, and top of the line thermal management aren’t exactly exclusive to gaming devices, at least not on smartphones. And that is pretty much what’s doubtful about the whole Samsung gaming phone idea. There just isn’t enough added value that wouldn’t make sense on an ordinary Samsung flagship. However, That’s not to say Samsung won’t be able to make a gaming phone. In fact, it definitely has the experience to make it happen. The company has actually dabbled in mobile gaming here and there. There was, for example, a Wireless GamePad that had a telescopic holder for a smartphone. But unfortunately, that's not the case of “just build it and they will come”. Samsung has not yet earned a reputation in the gaming market enough to call the shots. Brands like Razer, Acer, and ASUS (via ROG) are more likely to succeed in the mobile gaming market because their names are already associated with gaming. Samsung would be like the newcomer struggling to steal the spotlight in a new and chaotic niche market. On the other hand, Samsung makes promises and not commitments. Samsung also has one problem that is less technical and more cultural. Over the years, it has made a lot of promises and sunk its teeth in a lot of new and exciting technologies. Only a few of those have remained. Worse, some have been immediately deprecated just a year after their launch by a newer but incompatible version. Samsung doesn’t exactly have a track record for consistency. What Could The Name Be? According to the concept video that teased on YouTube and also our cover photo, it is said that the new Samsung gaming Smartphone to be called "Galaxy G". We don't have enough information about the smartphone though but as at now, lets consider the name to be Galaxy G.
What Will Samsung's Gaming Smartphone Specs Look Like? Some rumors has been going viral about Qualcomm's new chip "Snapdragon 8150" which will soon be released but don't know when leaks on the other hand has rumored that the new Samsung gaming Smartphone will come with this chip while other leaks claims that it'll arrive with the latest Qualcomm Snapdragon 845 SoC processor. As a result, this device comes with 8GB of RAM and will be available in three storage variant which is 64GB, 128GB and 256GB. And if I should suggest, why not Samsung include 512GB storage? Maybe they will still consider in near future "who knows". Talking about the battery, it'll come with 4000mAh which will not be enough for the device - why not 6000mAh since it's a gaming Smartphone and thus, games drain battery a lot. As per the rumors, the device is said to come with Android 8.1.0 Oreo - why not Android 9 Pie which is the current Android version, hence, the devices is still to be launched. And of course, it'll be furnished with 4G LTE - why not the latest technology "5G" that is on the way! What Price Tag Will This Device Have And When Will It Be Launched? For me, the spec of this smartphone is not convincing but as the fact that it is still a rumor, that's why I'm considering it a bit. Heading over to the price tag of this device, it has no price yet. Since we have no price for the device yet, there won't be a release date either. Let's just stay on a low-key at the moment, it is just a rumor and it is not meant to be taken serious.